If satire and wit were a person. It would be this guy! 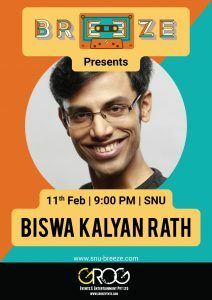 Be through his introvert jokes or his relatable dislike for pomegranate, Biswa is a true Mast Aadmi and were thrilled to have him at Breeze’18!